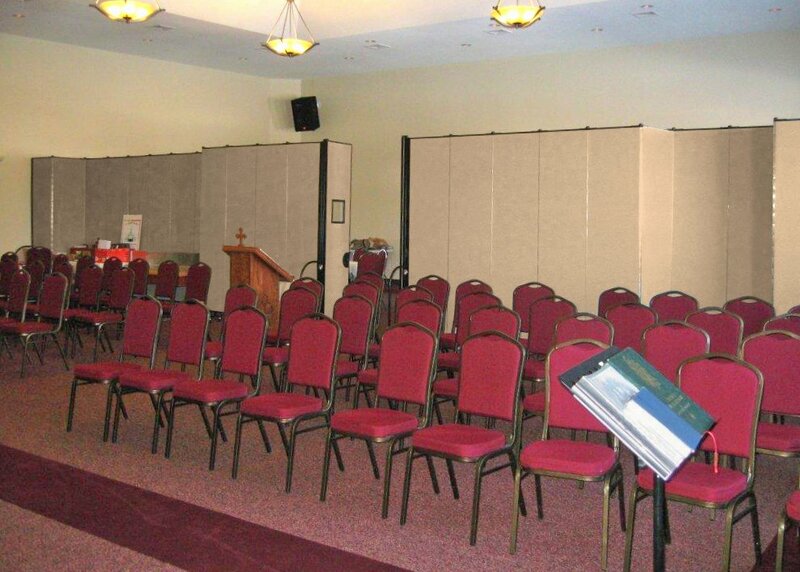 Uses: Church, Fellowship Hall, Religious Colors: Browns/Tan/Beige Lengths: 13 panel 24'-1" Heights: 8'-0"
Churches can easily put up walls and doors to create a separate area to host receptions after services, or as an area to host post wedding banquets. Especially in temporary church buildings. Hosting a reception after services is a great way to meet and greet first-time church visitors or a time for long-time parishioners to catch up with each other. A reception immediately after the service creates that space. 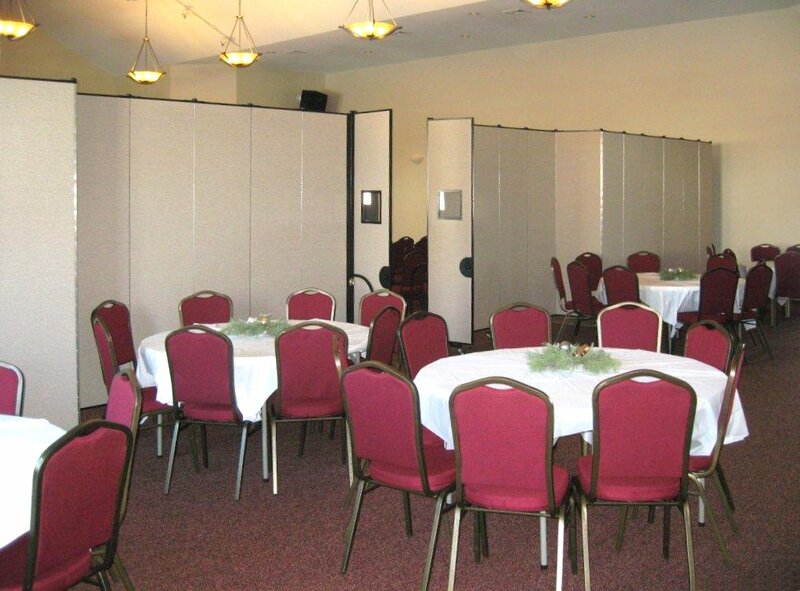 Using walls and doors for creating a reception area for post wedding banquets can bring added revenue to your church. 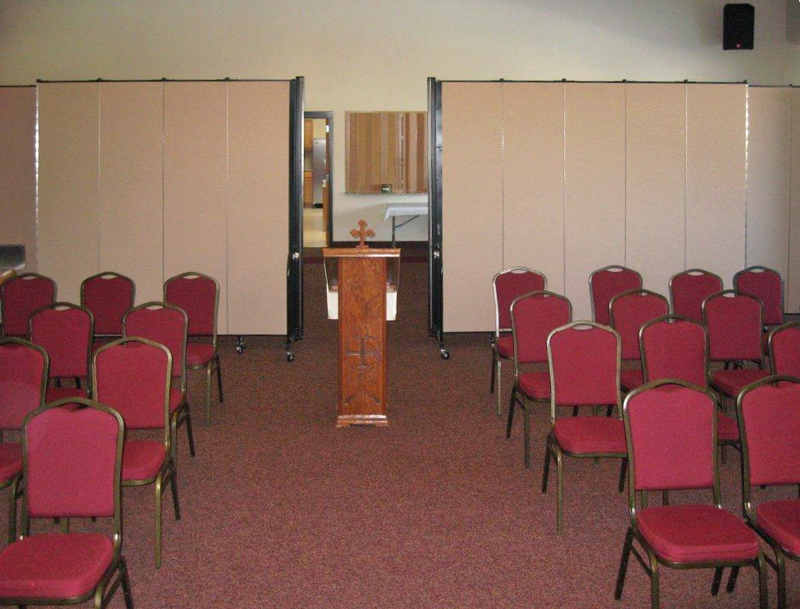 If you are leading a small church, you’ll need to create the space to host these events. Screenflex dividers can help you reach your goals.